If you look up the definition of "insanity" in the dictionary, you may see a picture of a runDisney event. From the breathlessness that accompanies registration day ("Will I get in?") to the organized chaos mass of people loading into corrals on race morning - no race that I've ever experienced comes close to the excitement and adrenaline rush that runDisney enthusiasts know far too well. The expo at runDisney race weekends is no different. 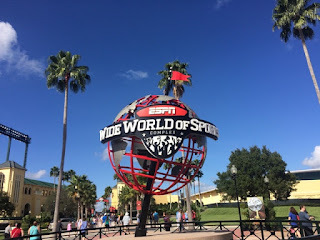 After having a few runDisney events under my belt, here are some tips to help make the expo a little less stressful and allow you to hopefully enjoy everything there. 1. As Scar would say, "be prepared." - At it's very core, the expo's prime purpose is for you to pick up your bib so you can actually run in the race. In order to do this, you need to have your race waiver ready to go. runDisney typically sends these out a week or two in advance and you can print it out to bring with you. If you forget, the expo does have printers available for you to print there, but it just adds more time and another line for you to wait in. Also, make sure you have your ID. runDisney has a strict no transfer / no sale policy and they will verify that you really are the runner who registered. Another thing to keep in mind is that you may only pick up your own bib; not for anyone else unless you are picking up for a child in the Kids Races. 2. Choose your time wisely - I would not recommend going to the expo when it opens on the first day. . .unless you would like to be trampled by all manner of ebay sellers and crazy merchandise shoppers. The pictures I've seen on social media in the first hours that the expo have kept me away. I have attended the expo on the first day later in the afternoon and have been able to purchase official merchandise without any problems. Now if there is something that you are desperate for, maybe you will need to go early - may the Force be with you. 3. Shop the merchandise like a pro - First things first, if you want a jacket or pin go ahead and pre-order it through Active. It will save you a lot of time and hassle at the expo to pick up what you ordered rather than worrying about whether or not they will still have what you want in stock. The pre-order jackets are also unique to the online pre-purchase so you won't be able to find those exact ones there. Secondly, when you go to the official runDisney merchandise section, be sure to shop the whole area before getting in line. These lines can be lengthy and you don't want to have to get out and get back in. It's also good to note that at the official runDisney location, you can access all of your typical Disney discounts - 10% off $50 or more with a Disney Visa and current percentage off discounts for Annual Passholders and Disney Vacation Club Members. They also accept Disney Gift Cards at that location. Lastly, if you're in search of the runDisney New Balance shoes, sign up for the virtual queue to reserve your spot. These are at the New Balance location at the expo, not with the runDisney merchandise. Disney discounts and Disney gift cards can't be applied towards the shoes. 4. Take your time to enjoy - You have worked hard and trained hard for this race weekend, don't rush through it! I love exploring the booths, checking out the medals for upcoming runDisney races, and listening to guest speakers. I was so excited to meet Jeff Galloway and talk about my training with him. 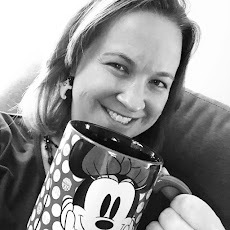 Know your travel party on your Disney vacation. 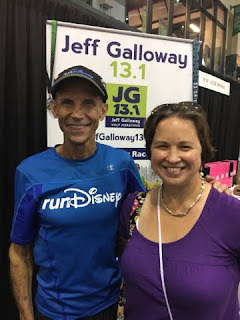 I leave non-runners at the hotel or at the parks so that I can enjoy the expo at my own pace without my little ones (or my husband for that matter) asking "are we done yet?" 5. Manage expo transportation - Transportation to and from the expo is provided from the Walt Disney World Resort hotels on a continual basis (about every 15-20 minutes). The bus parking lot is well signed with which busses are going to which resorts. If you are not staying on property, you can drive to ESPN Wide World of Sports or take a taxi. Parking is free and taxis are also readily available. Cast members are more than happy to help point you in the right direction whichever option you choose!